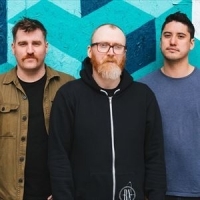 And So I Watch You From Afar are a Belfast-based post-rock band formed in 2005. Their sound is predominantly instrumental. Members include Rory Friers - guitar, Jonathan Adger - bass, Niall Kennedy - guitar and Chris Wee - drums. They released their debut eponymous album in 2009, followed by: "Gangs" (2011 - a top 30 hit in the Irisih album charts), "All Hail Bright Futures" (2013), "Heirs" (2015) and 2017's: "The Endless Shimmering".